I've been on this website since shortly after it was founded in 2004, and while I'm not a heavy user by any means, I'm not getting what I need on here. You might not know this, but the "news feed" uses a deep-learning artificial intelligence to promote some updates while hiding others. Nobody knows exactly what its parameters are, but the general consensus seems to be that it promotes things that make people feel happy, hides things that make them unhappy, and keeps them engaged on this website and looking at ads. Makes sense, right? What's the overall effect of this- when the medium you use to keep in touch with the people in your life is not showing you everything they're trying to say? When you say certain things, it gets shown to lots of people, you get "likes", and it makes you feel good. When you say other things, the AI steps in, it's not shown in the news feed, and you don't get "likes". This doesn't make you feel good, and over time, this intervention changes the way you think and alters your behavior. This AI might not be perfect, but it has an effect over time. There are lots of things that are important for people to discuss which don't make people "happy", but might make them more aware, introspective, and overall smarter. But Facebook's filtering algorithms is going to make those harder to find. Apart from filtering what you see, this website's deliberately invasive nature is designed to build a dossier on its users- assessing and cataloging everyone's interests and personalities, facial characteristics (how does it recognize you in photos? ), et cetera. And it's all on your permanent record. For good. To be shared with advertisers, law enforcement, and three-letter agencies. In the context of this, I'm finding that this place is working for me less and less over time. I find that people on here don't talk about anything meaningful. It's a never-ending stream of photos of food, babies, and pets, unfunny, uninsightful memes, and conversations about mostly nothing. Even what political stuff I'm seeing is very Facebook: shouty, goofy, shallow, "Click like if you agree!" "Outrageous! sign the petition!". And on it goes. It's not that I even expect people to be posting the cool stuff they're getting up to on here- given how invasive this place is, you *shouldn't*- but I'm seeing people dumping their entire lives on here without any circumspection, and allowing this online medium to mediate a large percentage of their social interactions. For a lot of people, Facebook's gamification, status filtering, and so on has had a significant impact on how they interact, think, and behave- and it doesn't make any of us more interesting people. I don't want to spend my days like this. Later tonight, I'm hitting the delete (not deactivate) button on this 11-year-old account. If people are interested in getting in touch or working on anything cool together, it's pretty easy to find my email on my website. I'd love to talk. This entry was posted in Uncategorized on December 21, 2015 by duncan. Came home today to find this on my doorstep! This entry was posted in News on December 11, 2013 by duncan. The Uncharted Places compilation is now up on Bandcamp. This entry was posted in News on September 11, 2013 by duncan. Anatomy just interviewed me about my songwriting process, effects chains, the state of music software, and the challenges of playing electronic music live! This entry was posted in News and tagged dark days, duncan bailey, interview on May 31, 2013 by duncan. Check out this email exchange I had with Indie Music Album Reviews today- they wanted me to pay them to review “Dark Days”. Totally audacious- and their answers have to be seen to be believed. This entry was posted in News and tagged bandcamp, dark days, maine, Public Transport on March 21, 2013 by duncan. 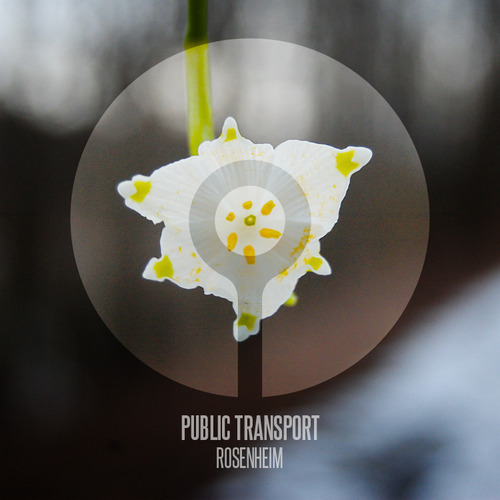 My new single “Rosenheim” is out on A Strangely Isolated Place. You can check out the whole writeup over at the release page, where you can also download it in either 320k MP3 or FLAC. This entry was posted in News and tagged A Strangely Isolated Place, ASIP, dream pop, duncan bailey, germany, maine, mp3, Public Transport, rosenheim, ulrich schnauss on July 31, 2012 by duncan. The new Echotourist compilation is out, featuring “Something Real”. Lots of shoegaze, dream pop and ambient electronic music. Enjoy! This entry was posted in News and tagged ambient, bandcamp, dream pop, Dyad, echotourist, Novosibirsk Finish, Psee, Public Transport, Remix, shoegaze, Something Real on April 27, 2012 by duncan. New video for “I Want, You Want”! You can download the album “Seawall” on Bandcamp here. This entry was posted in News and tagged dream pop, germany, maine, Public Transport, shoegaze on February 29, 2012 by duncan. Just did an interview with Anton Goobin from Echotourist. This entry was posted in News and tagged echotourist, interview, maine, Public Transport, russia, shoegaze on February 12, 2012 by duncan.